Queen biopic Bohemian Rhapsody has faced plenty of artistic criticism, but the morality of its fired-but-still-credited director Bryan Singer has been further called into question after an Atlantic exposé revealed four more allegations of sexual misconduct involving underage men. 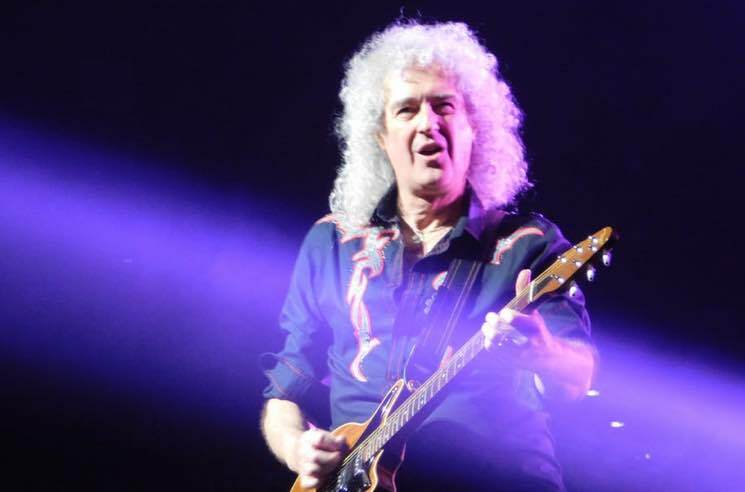 Now, Brian May of Queen has apologized after his online activity was interpreted as defending the disgraced director. One of May's followers requested that he unfollow Singer on Instagram — implying that following the director on social media is the same as supporting or condoning him. May initially replied, "You need to look after your own business and stop telling me what to do. And you need to learn to respect the fact that a man or woman is innocent until proven guilty." Following swift backlash to his response, May issued an apology to the original commenter in the form of a new post. "I was shocked and saddened to realise what I had done by my hasty and inconsiderate IG reply," he began. "I am mortified to discover the effect my words produced. I had no idea that saying someone was innocent until proven guilty could be interpreted as 'defending' Bryan Singer," the post continued. "I had absolutely no intention of doing that. I guess I must be naive, because also it had never occurred to me that 'following' a person on Instagram could be interpreted as approving of that person. The only reason I followed Bryan Singer was that we were working with him on a project. That situation came to an end when Mr Singer was removed during the shooting of the film, but I suppose unfollowing him never occurred to me as a necessity." May added that he has now unfollowed Singer, and apologized to anyone else who was offended by his retort. This week, Bohemian Rhapsody was nominated for several Academy Awards. Earlier this month, it won the Golden Globe for Best Picture – Drama.